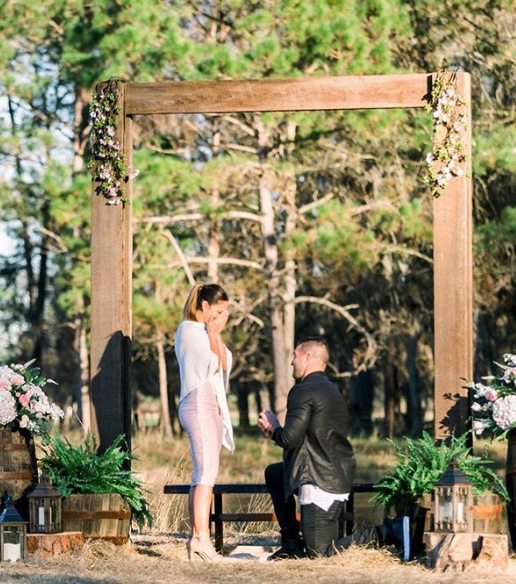 Predictably, Tebow pulled a Tebow in popping the question, as he got down on one knee to ask Nel-Peters if she would marry him. She, of course, accepted, and obligatory Instagram posts were made. The 31-year-old former Broncos quarterback and Heisman Trophy winner proposed to 2017 Miss Universe winner Demi-Leigh Nel-Peters on Wednesday outside his family’s farm in Jacksonville, Fla., according to a report from People Magazine. It has been a whirlwind romance for the adorable couple, who first announced they were a thing this summer.